In a highly competitive marketplace of ideas, capital and customer loyalty, understanding your positioning and opportunities begins with context. Drawing on decades of work in the for-profit and nonprofit sectors, we are committed to helping you assess where you are now – and, where you can go. We are a nimble boutique agency, with a long-term network of service providers - graphic designers, web programmers, videographers - adding to our capabilities. Our job is to help you establish clear and distinctive messages, expand awareness and build brands. We provide Strategic Positioning; Media Relations; Brand Development; and Fundraising Communications. Experience – With marketing and communications insights gained from multiple industries, we can help you prosper by turning the challenges of business, technology, social, and public policy issues into opportunities. We provide direct, hands-on involvement in areas ranging from communications planning and the development of brand identities to creating editorial products and building partnerships. Attention – You have the assurance that the Principals will be directly involved – listening, learning, earning your respect. You should expect nothing less. Commitment – Our promise is to produce the highest quality work and achieve the greatest success for you. Outcomes – By engaging more fully with their key audiences – employees, customers, communities – our clients have successfully rebranded, launched new strategic plans, expanded programs, increased revenue, and responded to challenges with reputations enhanced. The principals of Melcher+Tucker Consultants combine experience in media, marketing, advertising, and technology across nonprofit and for-profit organizations. We have worked at a leading global publishing company covering everything from oil exploration near the Arctic Circle to innovation, social issues, technology and politics closer to home. We have worked on some of the most iconic and memorable ad campaigns, and launched one of the first web-based editorial publishers. Our service on nonprofit boards deepens our commitment to communities and the public interest. All of this enriches our capabilities to serve you with informed, honest and productive counsel. 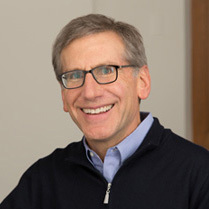 Rick Melcher is a founding principal of Melcher+Tucker Consultants. He assists clients with strategic planning and market positioning, media campaigns, content development, and in building strategic alliances. He brought to Melcher+Tucker more than two decades of award-winning journalism and management experience in media and Internet companies. He served as Bureau Chief of Business Week magazine’s London and Chicago bureaus, where he managed regional offices and reported on such topics as economics and finance, social issues, politics, and management. His reporting was recognized by the Overseas Press Club and the Deadline Club of New York for outstanding journalism. After leaving Business Week, Rick served as vice president of content development and syndication at one of the Internet’s leading news and public interest web sites. Rick is active in civic and public service organizations. He serves on the national board of trustees of Facing History & Ourselves, and is a member of the board of the Foundation for National Progress. He is also a member of The Economic Club of Chicago and the Chicago Council on Global Affairs. Rick is a graduate of Duke University with a BA in History. Anne Tucker is a founding principal with an award-winning career in marketing and creative campaigns for leading offline and online companies. At Melcher+Tucker Consultants, Anne works on strategic planning, brand strategy, and developing marketing and media relations campaigns for clients. Prior to co-founding Melcher+Tucker, Anne spent five years in the Internet industry designing and building brand identities for some of the leading public policy/public interest websites, including Policy.com and IntellectualCapital.com. Prior to her Internet experience, Anne was an advertising account manager at The Gap. She worked on all of Gap’s brands, as well as on the award-winning “Individuals of Style” campaign, which won both the Clio Award and the Council of Fashion Designers of America Award. Anne was responsible for managing copywriters, production artists, and print production staff from concept through finished product. She also worked extensively with The Gap Foundation on its annual report. Anne is active in civic organizations in Chicago, serving on the Rush University Medical Center Woman's Board and the Guild of The Chicago Botanic Garden. 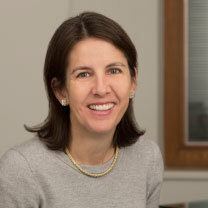 She is also a member of The Economic Club of Chicago and the Chicago Council on Global Affairs. Anne is a graduate of Skidmore College, with a BA in Art History.